Fruit of the research by our engineers, this machining head is placed above the part to be machined and directs the beam in three dimensions at high speed and with unequalled accuracy using two motorized mirrors for the X and Y directions and a motorized lens for the Z direction. With very low power consumption, heat generation and weight, its motors reduce thermal drifts and offer acceleration ramps about 20% greater than the best traditional moving magnet motors. Because of these performances, all of the laser power can be used without degrading the machining accuracy and hence the cycle time can be reduced. 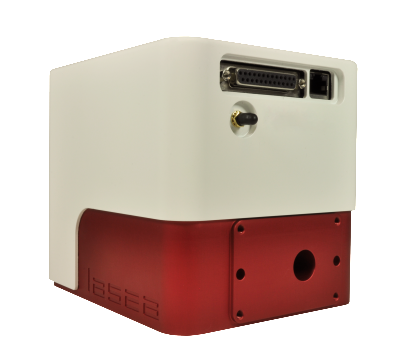 The LS-Scan is controlled by the Lasea machining software, KYLA™ or the LS-HMI.